Tonic have done it again with their new release of the Double Detail Die Sets but they have also gone and added a new set of glorious colours in their Nuvo range of the mousses. The new colours are fabulous and contain lovely pastel shades too. So here is the first of my projects that I made for the POW shows over on Create and Craft this week. Taking a 7" x 7" card blank as the base. Cut a piece of black card to 6 3/4" square. Place the die in the centre of the black square and cut out. Then emboss the die details. Take the matching stencil, line it up over the die cut, tape in place. Next using the blue and green mousses and a piece of Cut and Dry foam, ink through to colour the embossed detail. Remove stencil. Clean the stencil. To create the background; take a piece of white card approx 6 1/2" x 6 1/2" and using the foam again, swipe some blue across for the sky and green across for the grass. Stick to card front. 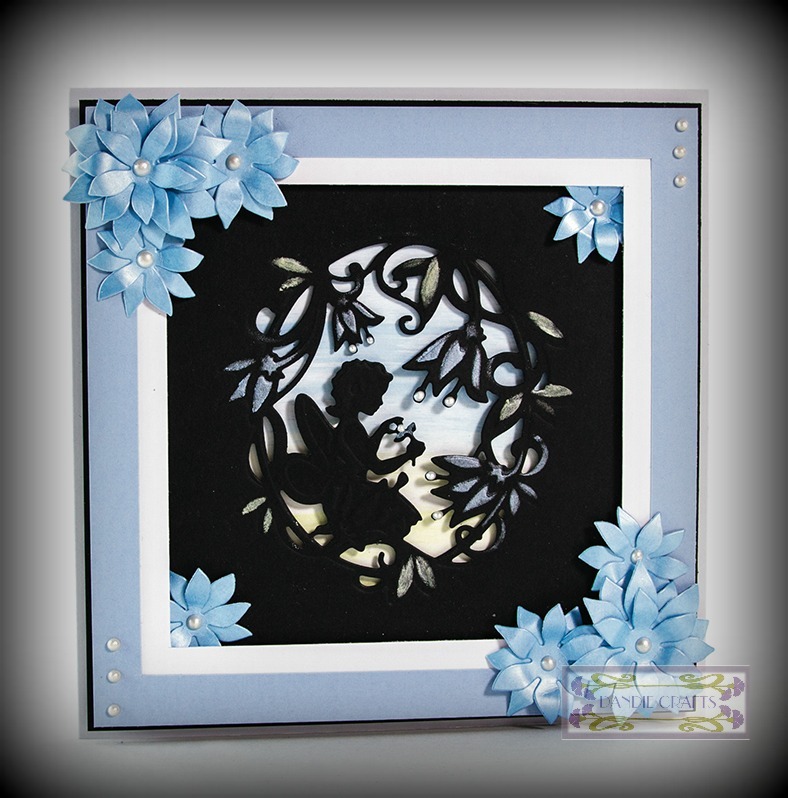 Add 3D foam to back of black piece and add to card front. Create a white frame and a large blue frame and glue these together. Add to front of card using 3D foam pads. Take a piece white card, blue mousse and a piece of foam and colour the card. Once coloured die cut some flowers. Decorate the front of the card with these using Novo Crystal Drops to finish. We hope you have been inspired.